A busy week wraps up with 414 Day on Sunday. Cheers to that! Bauhaus Brew Labs takes over the taps at Ray’s Growler Gallery (8930 W. North Ave.) at 5 p.m. The Milwaukee Beer Society makes a trip to Tosa to visit Stock House Brewing (7208 W. North Ave.). 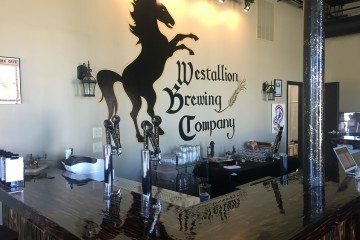 Get there at 6 p.m. to talk to the owners and try a few of their beers. Every Thursday in April, Good City Brewing (2108 N. Farwell Ave.) hosts Drink for Good. Every $1 from purchase of Risk, Reward, Motto, Detail and Pils will benefit the Parenting Network. Third Space Brewing (1505 W. St. Paul Ave.) is ready for summer and they’re bringing back Summer Home Hoppy Blonde Ale. In honor of the event, they’re hosting a seafood boil from noon to 5 p.m. with their friends at Crafty Cow. Dress for summer and dine on a tasty seafood boil with snow crab, shrimp or mussels. You create your own for $10 to $16. Bittercube Bar & Bazaar (4828 W. Lisbon Ave.) has a unique hour-long workshop at 4 p.m. that examines beer cocktails. For $15 you get to try two of them. Stein & Dine comes to the Wisconsin State Fair Park Expo Center (640 S. 84th St.) from 2 to 6 p.m. Sample beers, food, wine and more for just $45. Limited VIP tickets for $75 get you in the door at 1 p.m. The Brass Tap (7808 W. Layton Ave.) hands over a few of its taps to Dogfish Head to celebrate Record Store Day. Bring your vinyl. If the bar plays it, you get a free beer. Sugar Maple (441 E. Lincoln Ave.) celebrates 414 Day with visits from Vennture Brewing and Classic Slice Pizza at 2 p.m.
414 Day at Gathering Place Brewing (811 E. Vienna St.) means $4.14 pints from noon to 6 p.m. Wear Milwaukee-related clothing to be entered into a pair of prize drawings. 40 taps at The Brass Tap are priced $4.14 all day. Draft & Vessel (4417 N. Oakland Ave.) marks the Game of Thrones final season premiere by pouring five Game of Thrones beers from Ommegang from 1 to 4 p.m. The 31st annual Blessing of the Bock takes place at Falcon Bowl (801 E. Clarke St.) from noon to 4 p.m. For $15 you can join in the festivities.